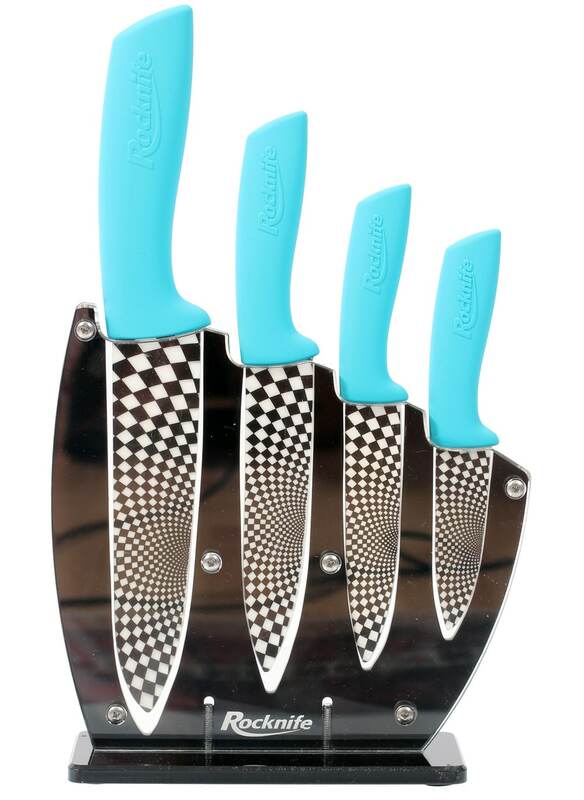 Available in four sizes to suit all your kitchen knife needs. Blue is the number one favoured colour for Kitchen Utensils in the UK. There is hardly a kitchen in the land that does not have something in Blue. 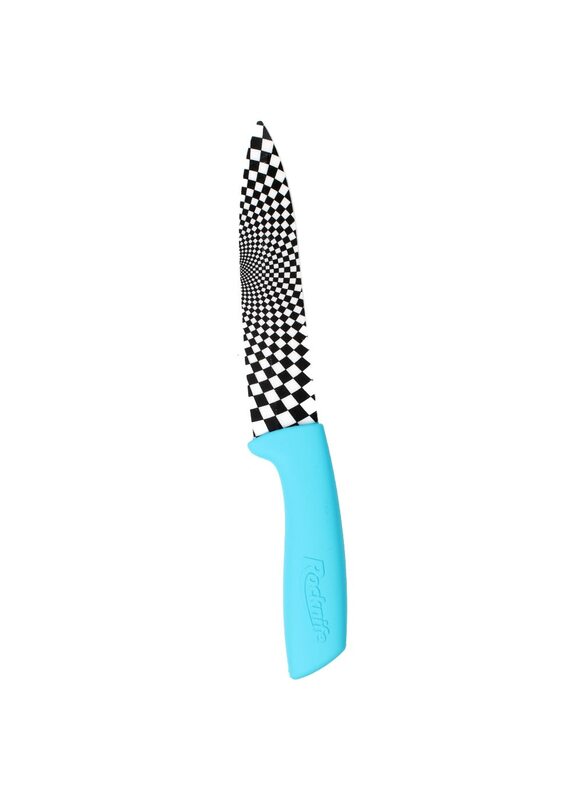 So, we've spent a long time deciding on a shade of Blue for our Rocknives and are please to offer these exceptional ceramic knives. The Blue is a perfect blend of colour and design. 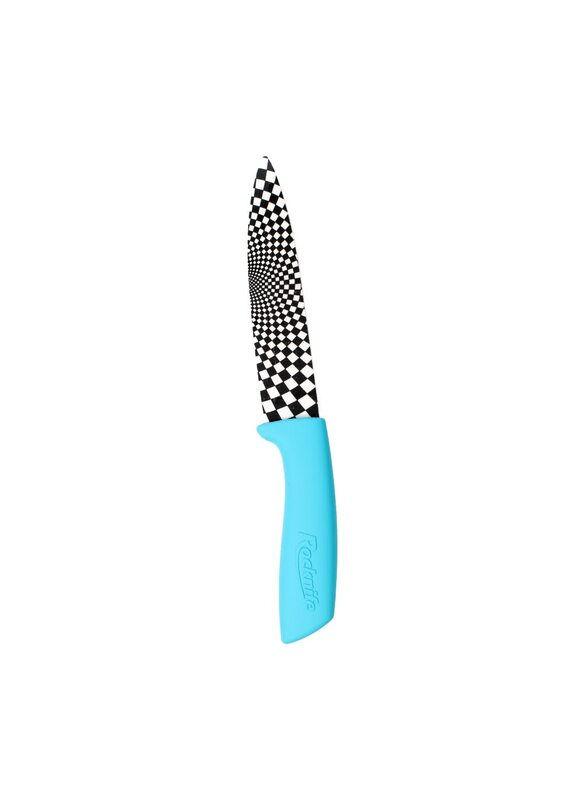 Ideal for cutting all vegetables and fruit, there is a knife to suit every need, from the 3 inch herb knife for parsley, chives and even summer strawberries and grapes to the 6 inch blade which is great for bigger jobs like potatoes, bread or a Sunday roast (careful of bones though). 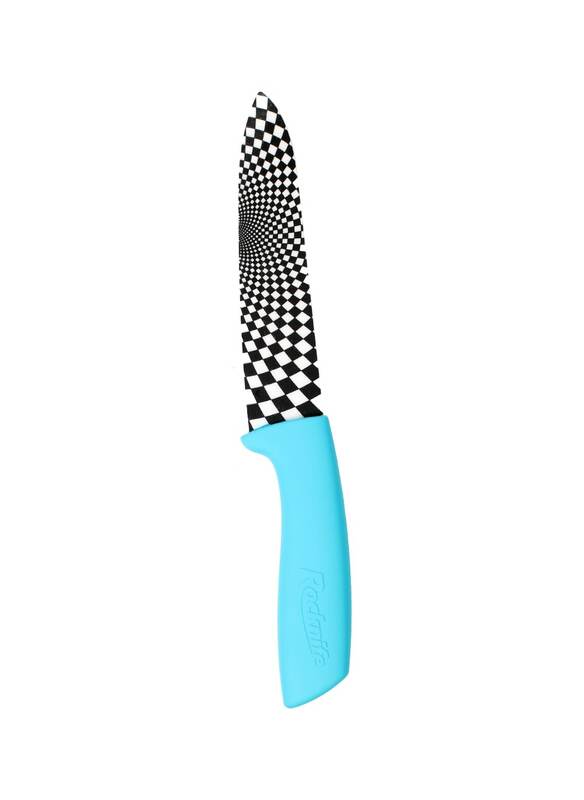 We then have the Blue 5 inch ceramic blade which is perfect for melons, large fruit, grapefruit and other bigger vegetables and finally the 4 inch Rocknife is the handy everyday use Kitchen knife, ideal for courgettes, carrots, tomatoes and all fruit, the blade is hardened to 400 tons of pressure causing the knife to be extremely hardy. All our blades are stain proof and are easily wiped clean without a trace of smells or rust so common with other types of knives. Why not be extra stylish and go for the set, the Blue handles here will offset beautifully the black and white check for a groovy look in the kitchen. Please note: as with all our knives or bladed products, the buyer must be 18 years or over. Rocknife brings a whole new world of designs, style and satisfaction to your kitchen. Made from hardened Zirconium Oxide (Ceramic). Our Ceramic Knives are far sharper than steel, and remain that sharp for years to come. 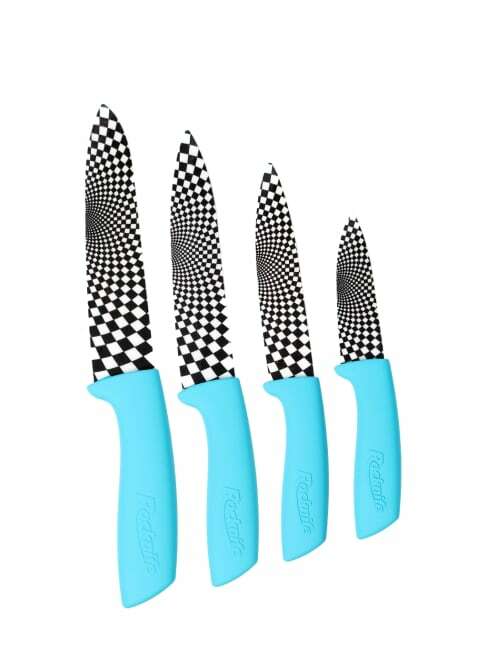 With eye-catching design, elite quality and beautiful craftsmanship, a Rocknife Ceramic Knife is essential piece of kitchenware for anyone who enjoys cooking. Welcome to the Rocknife Revolution. © 2017 Rocknife Ltd. All Rights Reserved.